This is the first bread post by my husband. He jokingly referred to this as Dave’s Bread Corner, but admitted that he wasn’t really interested in making his own “wing” on my blog. What this means to you is that bread with yeast and other things that could make it scary to make or otherwise super complicated are now possible. In other words, you guys get a different variety of recipes that fall outside my comfort zone, my husband gets an audience and an excuse to make bread, and I get “free” posts that I didn’t have to cook (although I still took the pictures). Sounds like a win for everyone. The instructions for this recipe were written with the absolute bread beginner in mind. My husband did everything he could to take some of the mystery out of dealing with yeast. Fair warning before you get started though, this recipe involves quite a bit of time, a stand mixer, and a little bit of “feel” for what you are doing thanks to yeast being a living thing. Needless to say paying careful attention to what you are doing as you progress through the steps will make it easier. To miss something along the way can have really weird effects on the outcome. Note: This recipe requires between 1 hour 15 minutes and 2 hours for rising and proofing. 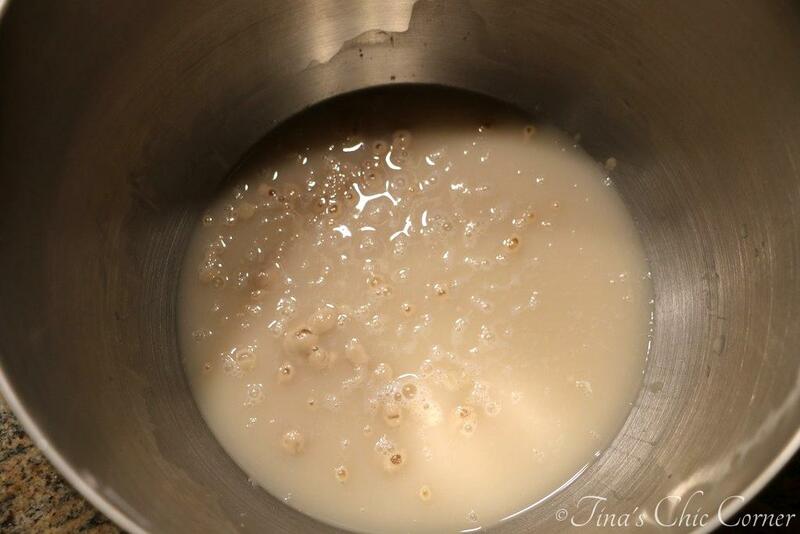 Pour the warm water into the bowl of a stand mixer and add the yeast. Allow the yeast to bloom for 5 minutes before adding anything else. Add 1 cup of the flour and then the brown sugar to the mixer bowl. Drizzle the salt and then the olive oil into the mixer bowl. Then add the remaining 4 and 3/4 cups of flour. 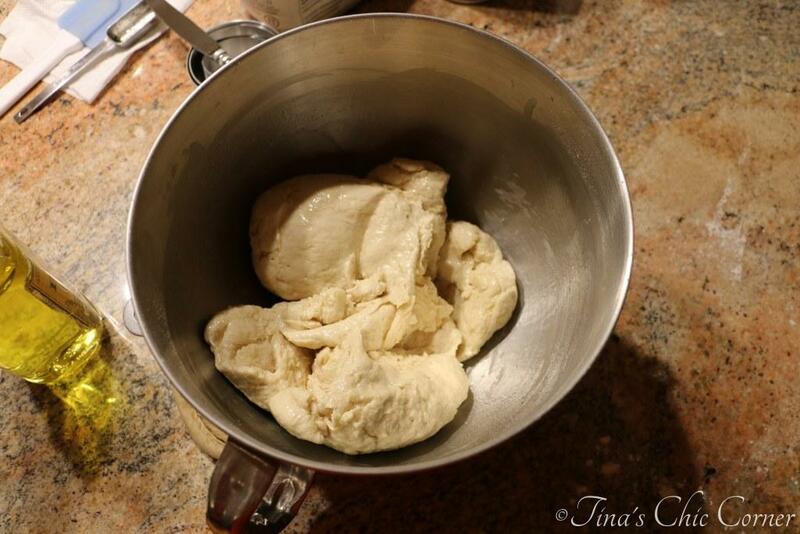 Turn the mixer up a little and knead the dough for 8 to 10 minutes. (I use 3 on my Kitchen Aid mixer because higher than that actually causes the mixer to walk around the counter.) 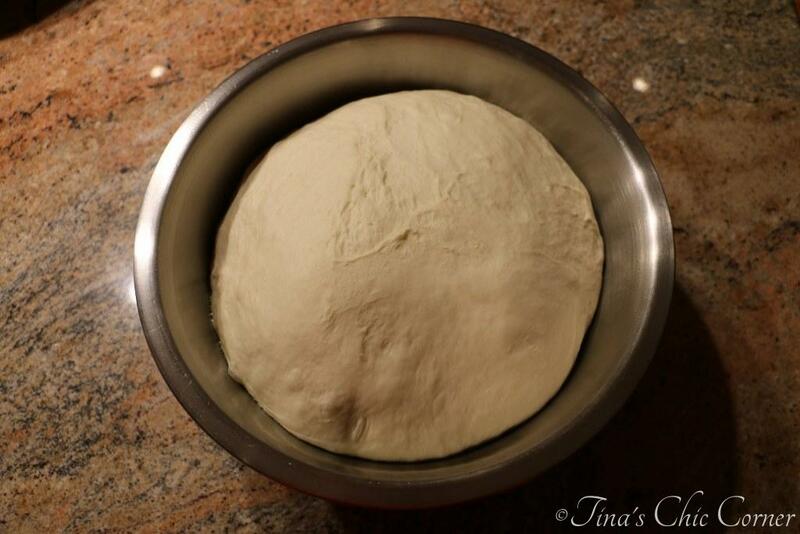 Once the dough is done kneading it should be smooth looking and have an elastic texture. While the dough is kneading, spray a large bowl with cooking spray. It needs to be at least twice as big as the dough so there is room for it to rise. 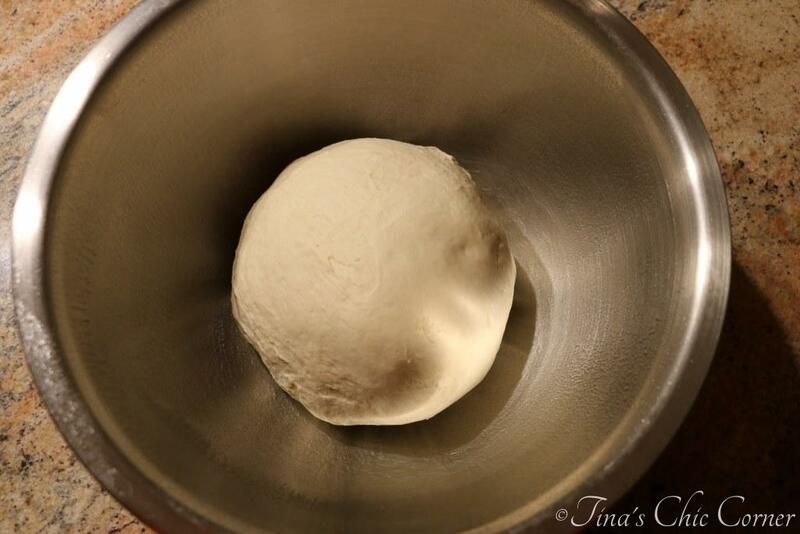 Form a ball with the dough, transfer it to the greased bowl and then cover the bowl with plastic wrap. Place the dough into the warm oven you prepared above for around 50 minutes to rise. (Do NOT turn the oven back on!) You should allow the dough to roughly double in size. The amount of time this takes depends on your yeast, the humidity in the air, and the temperature of where it is rising, so you should keep an eye on it and adjust the amount of time you give it accordingly. Remove the bowl from the oven, remove the plastic wrap (keep it for later use), and punch down the dough. You are basically trying to return the dough to the size it was before it rose. 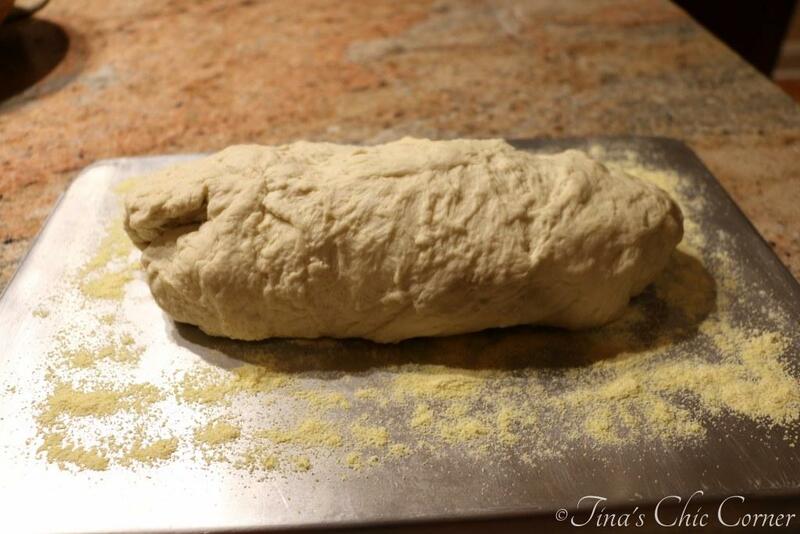 Roughly flatten the dough and then tightly roll it up into a roughly oval shaped loaf. You can do this on the back of an upside down baking sheet. Temporarily move the loaf back into the bowl and heavily dust the upside down baking sheet with corn meal. Move the loaf back into the middle of the dusted baking sheet and spray it with hot water from a squirt bottle. 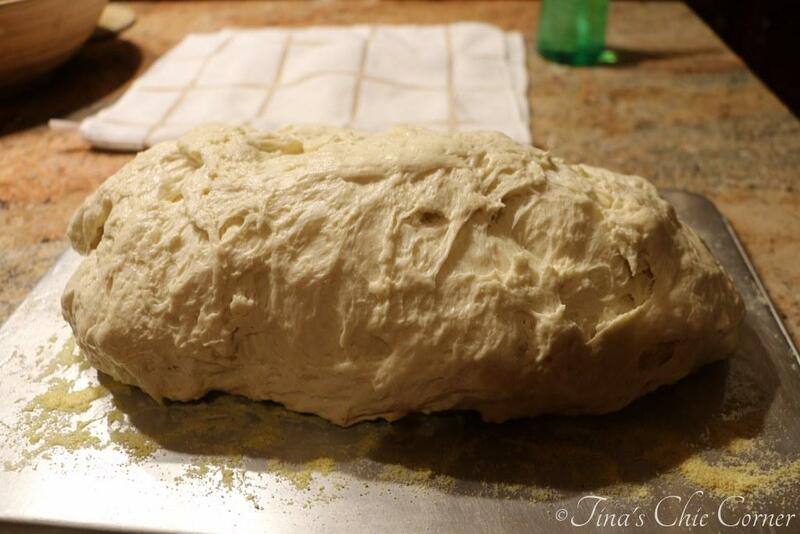 Lay plastic wrap over the wet loaf, move it back into the oven (still not on!) and allow it to proof for roughly 30 minutes. It should double in size. If it needs more time to get back to doubled size you should give it the time it needs. Once it has doubled in size, remove it from the oven to the counter before preheating the oven. With a sharp non-serrated knife slice 3 diagonal cuts into the top of the loaf. They should be roughly 1/2 inch deep. This should be done gently to avoid disturbing the rising that occurred while proofing the loaf. I’ve found that a pair of clean kitchen scissors works better than a knife for this. Spray the loaf with hot water from a squirt bottle and place the prepared baking sheet with the loaf on it into the oven. Bake it for 3 minutes. Open the oven, pull the rack with the bread on it out a little and spray it with hot water from a squirt bottle for a second time. Return the rack to its normal position and bake for an additional 3 minutes. Return the rack to its normal position and bake the bread for about another 15 minutes. Rotate the pan with the bread on it so the side that was facing the oven door is now facing the back of the oven. The loaf should be a dark golden brown and should sound a little hollow if you smack it with a wooden spoon. Avoid wrapping the loaf of bread for several hours to keep it from sweating. If you wrap it too soon the crust will end up soft instead of crispy. Once you wrap it, use tin foil and wrap it loosely. A few notes about making this bread. First, if you don’t have extra-virgin olive oil, any kind of oil should do the trick. Being Italian bread though, the hint of olive flavor the oil brings to the party is desired, so use it if you have it available. Second, yeast is very fragile with temperature. If your tap water comes out too hot you will kill your yeast instead of allowing it to bloom. This will be obvious only after you’ve wasted all the ingredients and realized it’s not rising. If this happens to you, I recommend the garbage can for the failed experiment. To bake it anyway will result in a loaf of bread that would be better suited as building material. (This has happened to me, and the brick I got out of the oven wasn’t very appealing.) Third, you really should use bread flour for this recipe. The extra amounts of protein in the flour help to give it the structure needed to rise properly and give it that fantastic chewy texture. This part of making bread looks a little bit like a science experiment. The best part is that it actually is a real live science experiment! Talk about fun, you actually get to be a mad scientist for a day and when you are done you have some fantastic bread to enjoy. Once all the ingredients are in the bowl and mixed together it will look like almost any other dough or thick batter you’ve ever made. Fear not though, after a bit of kneading (conveniently done by your stand mixer) a magical transformation occurs. It turns the gooey dough into a stretchy rubbery substance that looks smooth and silky. Now the yeast gets to go to town on your dough. Hiding all mixed into that innocent looking ball is living yeast that has been woken up from a long nap and is now both hungry and surrounded by food. That’s a great way to wake up if you ask me. The little guys eat the sugars in the dough (both from the actual sugar that was added, and the naturally occurring sugars found in the flour) and produce carbon dioxide. The same gas that makes a soda fizzy is now being pumped into your dough from the inside! Given some time to do its work in a warm place your dough will look like it’s trying to take over the world… Or at least your kitchen if you’d let it. 🙂 If all went well up to this point, the ball of dough that you put in a bowl in a warm place should now be double the size it was before. Next you need to squish it back down. This part always makes me a little bit sad. You aren’t harming the yeast in the process, but it does feel a bit like you are ruining all their hard work. Fear not though, they are still in there and they are still excitedly pumping out the carbon dioxide. Once you squish it and shape it into an oval loaf you just have to spray it down, cover it up, and give the yeast time to do their thing again. (This is called proofing the dough.) This period of time happens to be remarkably similar to the amount of time needed to preheat your oven to 425 F so you aren’t even really wasting time. After not even a whole half hour you will have a real live loaf of bread that you made yourself. No weird preservatives, nothing you can’t pronounce in it, just honest to goodness bread that only required six ingredients. Seven if you count the butter you probably want to spread on it before you eat it. There is something great about slicing your own homemade bread with your own hands. You get amazing thick slices with just a little bit of rustic charm. Bread. Part mad scientist, part kitchen voodoo, all delicious. What’s your favorite kind of bread? Adapted from a recipe by Emeril Lagasse for Food Network. 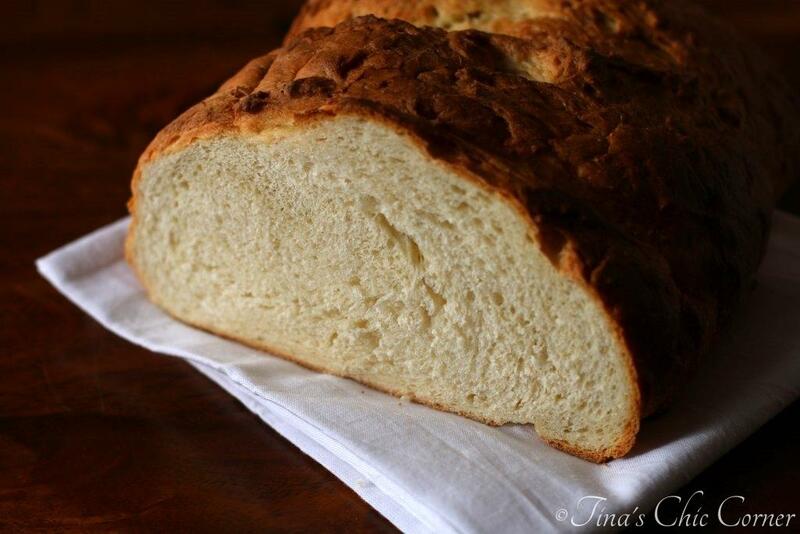 The only other “bread” that I’ve made is this awesome tasting quick bread, Beer Bread. 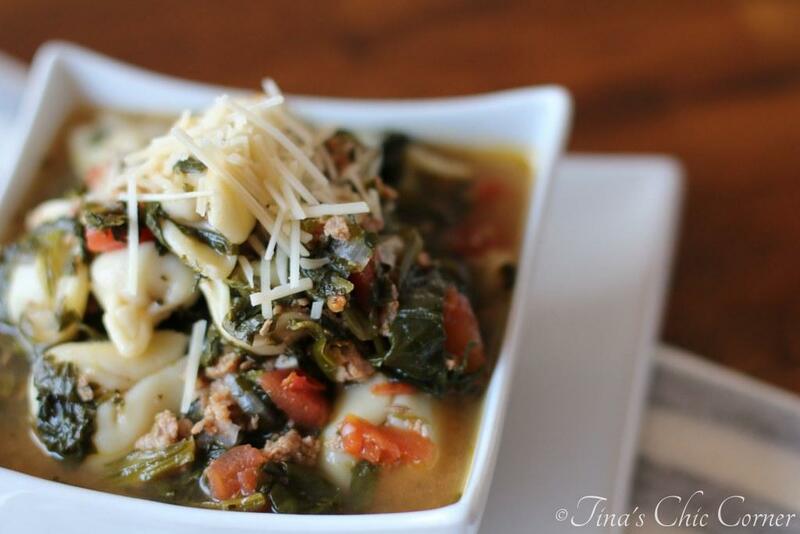 And loads of soups, like this Italian Tortellini Soup. Looks awesome. Serve with olive oil and you are set. Wow, how cool that your husband can rock out some serious bread?! 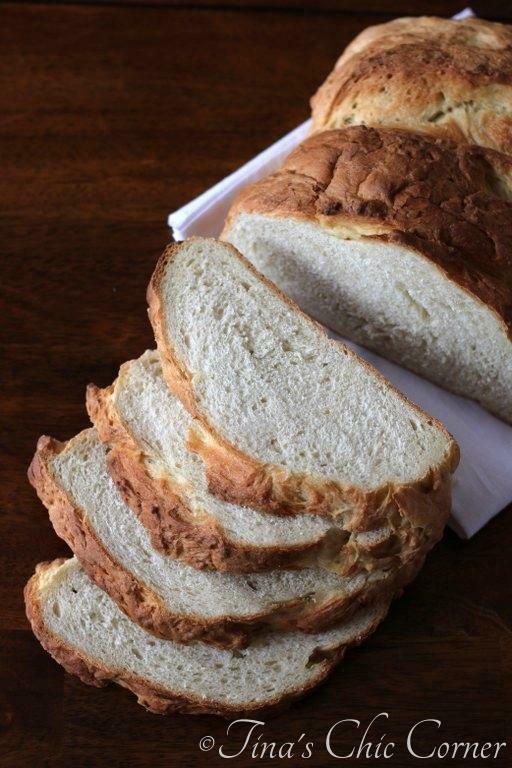 I’ve only really made the no-knead bread and have had success with that, but this looks like a great recipe too! And I love the recipe yield: serves a zillion. Now that’s a big loaf, hahaha! Dave’s Bread Corner is no joke! This is some seriously good looking bread. 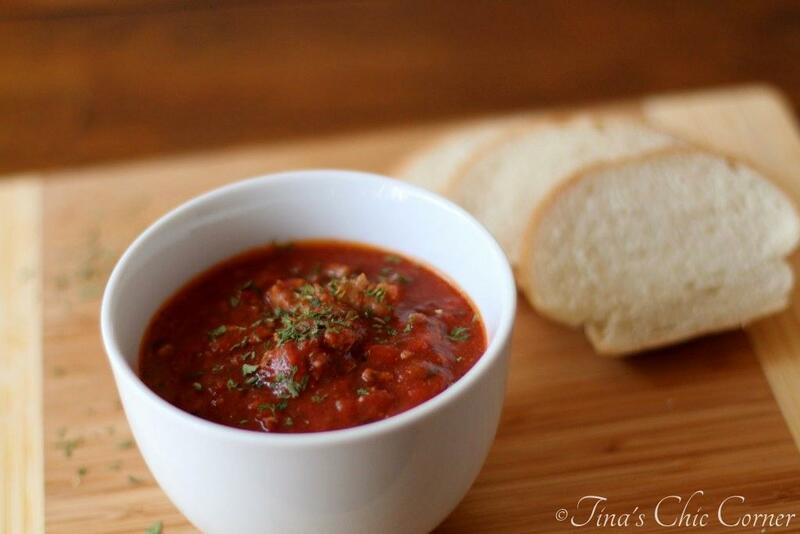 Italian bread with some Italian soup? Dinner is served! Hehe, that was his idea! I hope that there will be more bread recipes to add to Dave’s Bread Corner. 🙂 He does an amazing job and I’m proud of his work! Great post 🙂 I gladly take every advise I can get on baking with yeast. Awesome! Thanks. 🙂 I love seeing tutorials like this online and was hoping others would too! Thank you so much for the step by step instructions! I am going to make bread!!! I have always found it too intimidating and complicated but y’all made it look like it’s no big deal. Thanks! Well, I did it! I made bread! The step by step instructions were really, really helpful. I had a little bit of trouble during the kneading process because mine was quite dry but I let it knead a little longer and it got better. I was really paranoid about it kneading too long, even though the instructions said about 8-10 minutes, I kept wanting to stop after it just came together (like cookies). I was very skeptical also because I was sure I had killed my yeast so imagine my surprise when the dough DID rise! It was very tasty, by the way. Thank you so much for going through all the trouble to go through step by step for people like me! I was looking forward to someone talking about actually making this! My husband was super curious to learn about how it went. He spent almost two hours carefully writing out the steps for this recipe. On the note of dry dough, it could be that it wasn’t dry at all. You may just be used to things like cookie dough. (Since you mentioned the bread coming out well, this is likely the case.) As for kneading, you definitely need patience. I’m glad you stuck with it. 🙂 It takes a bit of time for the moisture in the dough to soak into all that flour, and it takes time to get all that delicious wheat protein to come together to make the dough properly elastic. Unlike cookies, muffins, cakes, or almost any other kind of sweat treat where you are trying to avoid toughness in the final product, this time it’s the whole goal. Could you even imagine doing it by hand? I’ve heard it takes as long as 45 minutes to get the right texture. My arms hurt just thinking about that. Thanks for telling your story! Tina, I am in LOVE with this bread. (Serious!) I can’t even begin to tell you how happy I am to see this recipe from your sweet husband. I think I’ve mentioned to you before that we live in a very small town… which means very few selections at the local market. (The next choice is over the other side of the mountain, over 30 miles away.) So, when I want to get bread… there is never any. No lie. The kind on the shelf. The kind in the *bakery*. None. 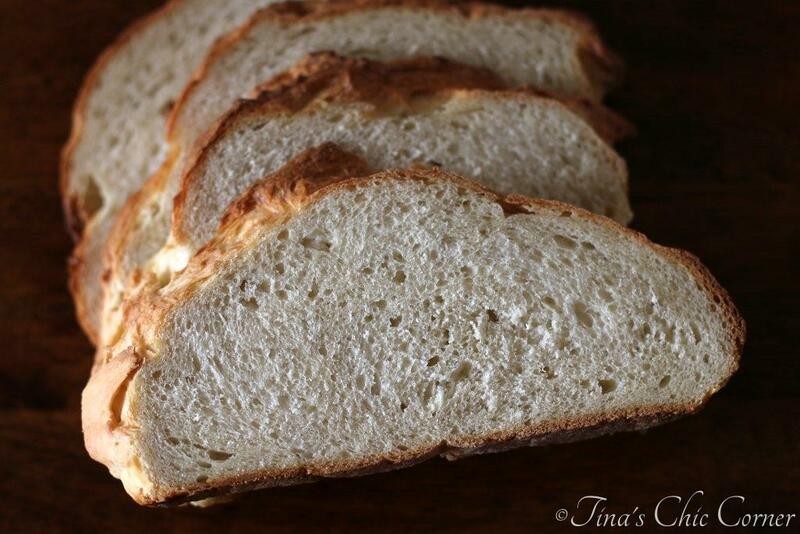 I have always been in love with yeast and bread flour…maybe a little obsessed! So, I’ve started making bread for the family… since I really have no choice when there’s none to buy. 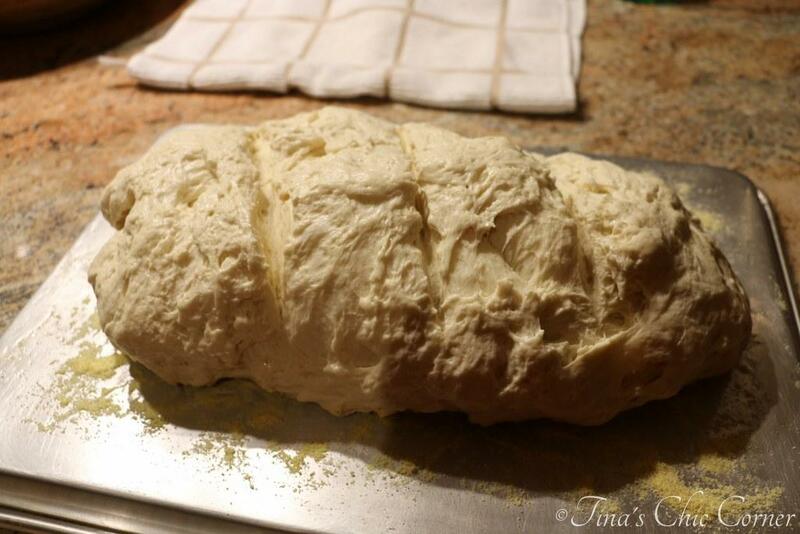 But, I have been (complaining) just yesterday that I need to make my family Italian bread now. So, there’s my novel of how excited I am about this recipe! I love how Dave wants his own little corner over here… you two are great! Hugs! As you saw on Twitter, my loaf of bread I made from your hubby’s tutorial. It was really amazing! I am a detailed kind of person …and love how he put even the smallest of notes in the recipe. It was so easy to follow and came out exactly how he described it! Thank you so much! Giving this recipe and tutorial 5 stars! 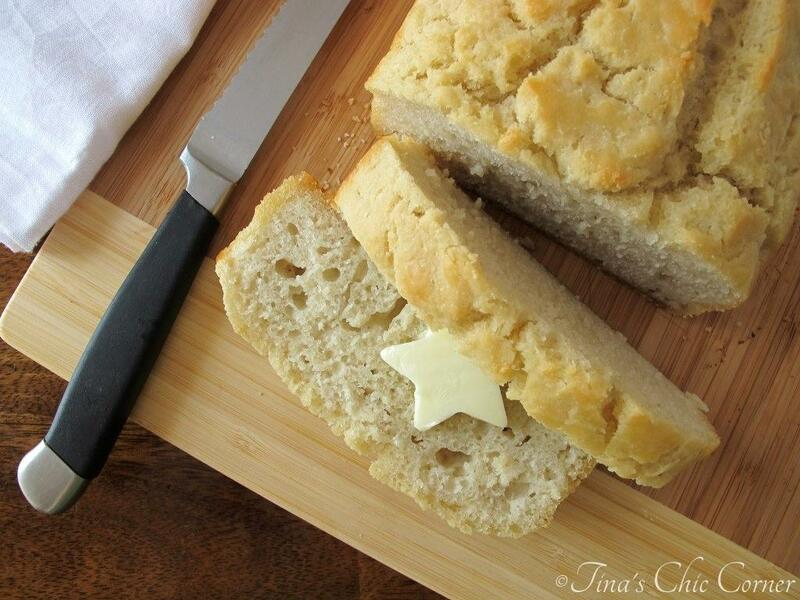 Beautiful bread and great instructions! I’ve just recently gotten into bread making, and find all if your info very informative and right on target from what I’ve learned at school. Thanks! That is a seriously good looking bread! It’s so much fun to bake homemade bread. OK, I’m totally going to have to get over my fear of baking bread. That crust really does look amazing! Have a great weekend Tina! 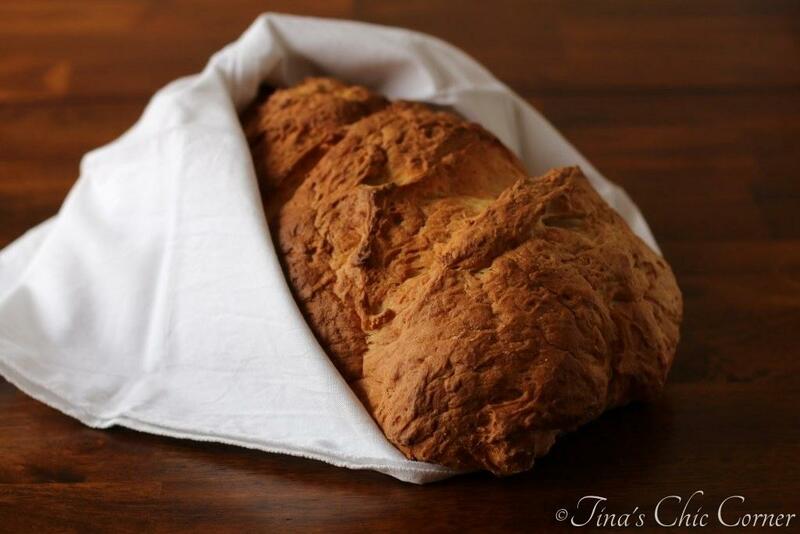 Italian bread is one of my favorite kinds of homemade bread. Crusty on the outside, soft and chewy on the inside = Heaven. 🙂 It goes perfectly with any kind of soup this time of year— Thanks to your husband for the awesome tutorial! Yay for bread baking!! That is a beautiful crumb you’ve got there. And such a nice toasty crust! Sounds like a perfect breakfast or snack to me! 🙂 Thanks so much! 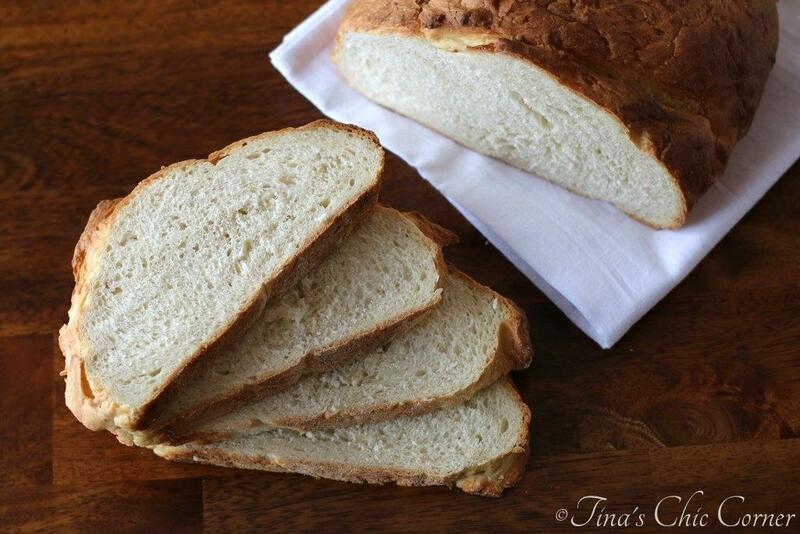 Well, I love this for 2 reasons – I’m Italian and the step by step directions… Seriously, I love Italian bread and when we first moved to the midwest 22 years ago from upstate NY there was NO Italian bread to be found.. we had come from such an ethnic area that almost had homemade bread on every corner – wish I had this recipe back then! I’m half Italian! 🙂 Us Italians cannot be without our bread, that’s for sure, so that sounds like quite an adjustment. I think I’m going to love this Dave’s bread corner thing. He’s an artist, this bread looks so good! Look at the crumb, how perfect. Mmm, my mouth is watering! What awesome looking bread. It looks so very real and tasty. I can taste it now. It is a bread masterpiece. Just scrumptious and beautiful!!!!! !